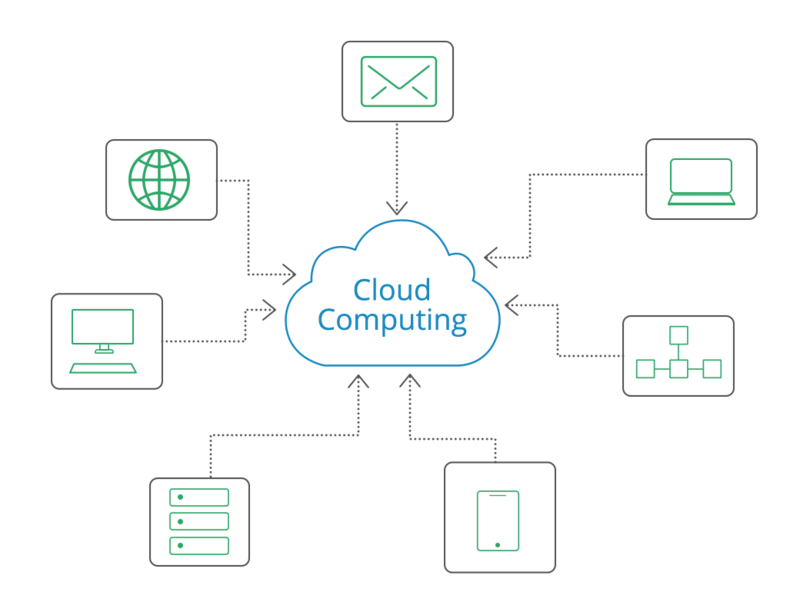 Cloud computing is where a computing resource is delivered as a service over a network connection, usually the Internet. In cloud computing, a pool of physical and/or virtual resources is shared, instead of deploying local or personal hardware and software. It sounds similar to the term ‘utility computing’, as users can enter into a supply of computing resource instead of themselves managing the equipment required to generate it. Hybrid cloud servers allow resources to automatically increase and decrease whenever required, helping users to meet the resource demand. Pay only for the resource used, avoiding inefficiencies and expense of any unused resource. Eliminate the expense on buying hardware and software as well as setting-up and running on-site datacenters. Achieve multiple services by setting them up using the same computing resource. Stay up and running without affecting the service continuity due to individual system failures as the services are hosted across multiple servers. Get the high level of security and management that suits almost any business. No doubt some companies have already shifted their complete infrastructure to the cloud to be a part of full digital transformation; most of them will gradually opt for a hybrid environment. Therefore, we support integration with on-premises systems via standard connectors and interfaces. Additionally, we also support open frameworks and APIs for making the customer applications portable to other platforms regardless of they are on-premises or cloud-based. Data center redundancy maintenance can be expensive. Therefore, a cost-effective solution can be storing redundant data in the public cloud by using special tools for the DR process management. Similarly, the organizations won’t require investing high capital, if they use public cloud instead of on-premise resource replicas for test/dev. Data analytics, collaboration apps, and even machine learning can be used as services that balance on-premises system, prior to making an extensive shift to the cloud. Huge data storage in a cost-effective way is possible via public cloud. The cloud becomes an efficient option when it is required to access huge computing power only on a transient/ad-hoc basis. The 3 fundamental deployment models of cloud computing are public cloud, private cloud and hybrid cloud. When a cloud provider hosts services and infrastructure off-site, shares them across the clients and, makes accessible to them via public networks such as the internet, it is called as public cloud. Public cloud is economic as it offers scalability and redundancy but is highly vulnerable as compared to private cloud setup due to high level of accessibility. A pooled service and infrastructure that is stored and maintained on a private network (physical or virtual), and is accessible by a single client is called as private cloud. Private cloud offers greater levels of security and control. One needs to sacrifice the cost benefits to some extent as the enterprise will need to purchase/rent and maintain all the essential software as well as hardware. A combination of public and private cloud elements is called as hybrid cloud. Public cloud can be used for non-sensitive operations while private cloud can be used for sensitive or mission critical operations, allowing the companies to maximize their efficiencies. Also, companies can ensure that the cloud computing setup is perfect by paying only for the essential features.